Edina left her home town of Nyiregyhaza in Hungary 6 years ago to come to London because she wanted to set herself a challenge and achieve her goal of living and working in London. After working in a well known chain of coffee shops and achieving not only excellent English and customer service skills she was promoted to the position of Team Manager within 2 years. However, she wanted a further challenge and as she was always interested in dentistry, she decided to embark on the training she needed for a career in dentistry. 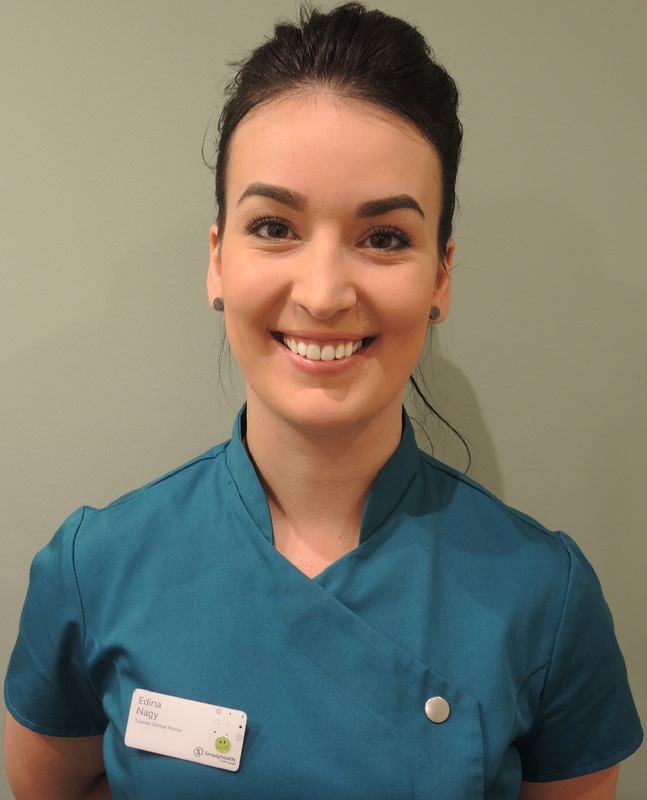 She enrolled on the Dental Nursing course in 2017 and very shortly after joined our team here. Edina says “I am an energetic person, before I started my studies as a dental nurse I was doing lots of boxing in my free time. Now that I am working and studying when time permits I go jogging and attend yoga”. Once she finishes her studies her aim is to continue developing her career in dentistry. In the time she has been with us, Edina has already made her warm and welcoming smile something many patients look forward to. By the way in case you cannot pronounce Nyiregyhaza ….ask her next time you are here!